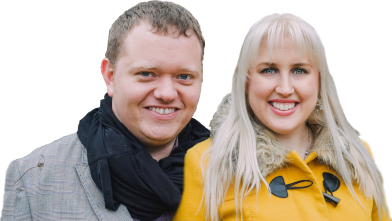 In 2004, my life was radically changed on a prayer journey with Lou Engle and seventy other young people fighting for the lives of unborn babies. Led by a prophetic dream, our journey ended in front of the US Supreme Court in Washington, DC. 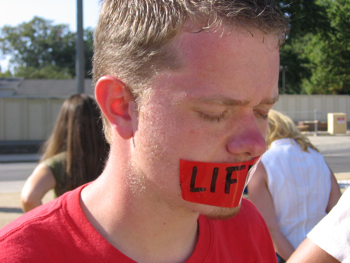 There, for thirty-one days leading up to national Election Day, we stood in silent prayer with red tape over our mouths that said LIFE. As I stood in silence in front of the court, I heard a song from heaven. God was singing over us, “Your voices will be heard in your silence”. Jesus hears the voices of the unborn even in their silence.